Congrats on getting your recipe published- that's so exciting!! And I've also been wanting to check out Better Call Saul since I'm still in mourning over Breaking Bad ending! Hope you have a great weekend!! So cool you were featured in that magazine!! Have a great weekend!! 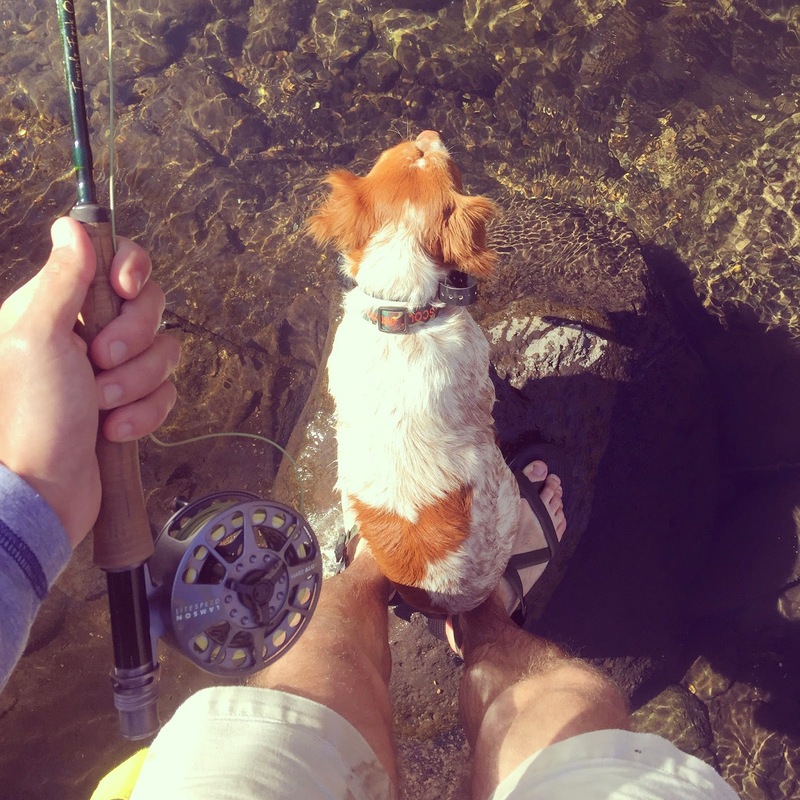 Happy birthday to the hubby and the pup! That is so AWESOME that you were featured in the magazine! So cool! Huge that you were in the magazine.. that's so exciting!! Enjoy your mother-in-law visit AND birthday week!! Congrats on the magazine feature, how exciting! And yay for birthday's and cupcakes, I hope you have an awesome time with John's mom this weekend! 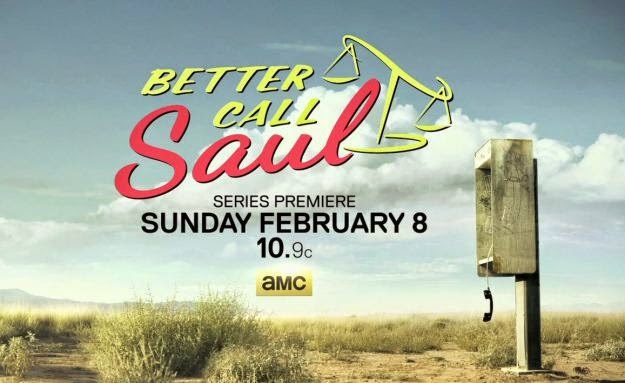 I keep hearing great things about Better Call Saul... I have it recorded & letting some of them build up before I watch, but I can't wait to dig in! Have so much fun with your MIL this weekend--its always nice when you get along well with your in-laws! Happy early bday to all the birthday-ers in your family!! 1. Have so much fun with you MIL. 2. Congrats on getting published. I am not surprised though bc your recipes and DIY crafts are always amazing! 3. Happy Birthday to you hubby. I love how Scout is sitting on his feet. Too cute! 4. I am obsessed with Better Call Saul. It is so so so good. You should definitely watch! I haven't watched the spin off yet but I really want to! 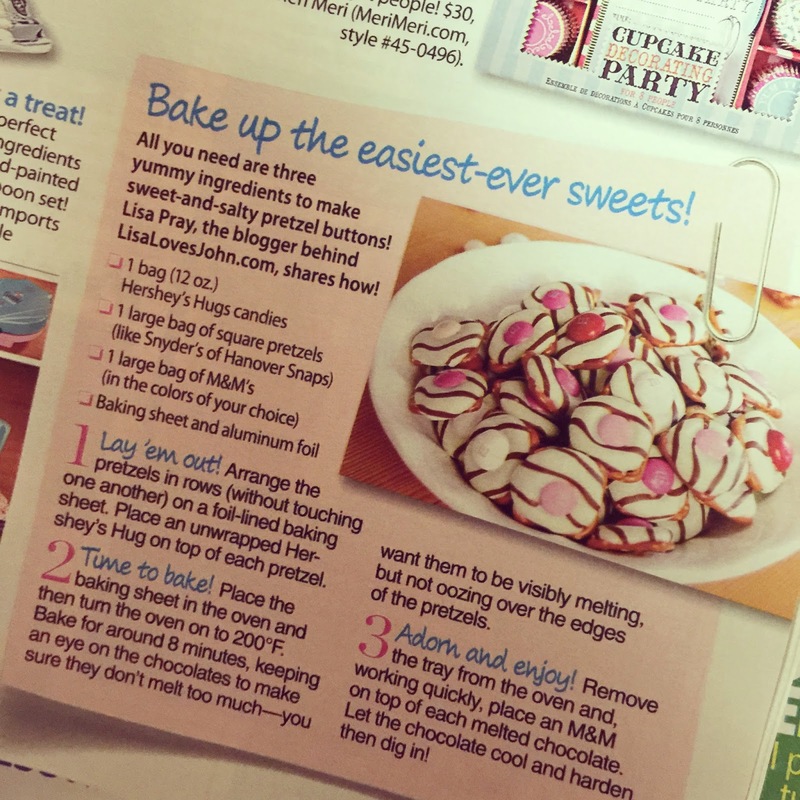 Um, that is so awesome your recipe was in a magazine! You rock girl!! Oh my gosh that's awesome, Lisa!! In a magazine?! I totally believe it! Your recipes are awesome! I've heard that about apple cider vinegar too but never tried it. Who knows?! thats so great about the magazine! and i LOVE that recipe! Oh my gosh, congrats on getting published!! That's so exciting and those buttons seriously are the cutest. Have so much fun with your mom this weekend! I use ACV in my hair every once in a while-- like maybe 2x a year if I feel like i have a lot of buildup for some reason. My husband hates it because it definitely does leave your hair smelling like vinegar for a bit. So amazing to have your recipe published! Congratulations! so exciting about getting published! congrats! Hope y'all have a great visit with the mother-in-law! Congrats on the magazine, how exciting!! Enjoy your weekend. Love the pic of you and your mother-in-law. Yay to birthday week! I've heard really good things about the new Saul show - I watched the opening and it's almost done like a movie (not cheesey like I thought it may be!). Thanks for the reminder to actually finish an episode ha. Have a great weekend! We've seen the first 2 episodes of Better Call Saul it was pretty funny! Might watch some more tonight!. Awesome you got published--again! Weren't you featured on Bob Villa's blog at one point?? Sounds like you are up for a great weekend and happy birthday to your boys! :) Every once in a while I wash my hair w/ baking soda/water mix and then condition with ACV. Only if I feel theres a lot of build up and then I don't wash my hair for a few days, wash again the same way and then I can tell a difference. How cool that you were featured in a magazine!! Congrats! Enjoy your weekend lady! Getting published?!? Frame that baby and put it up in your office! Congrats! I've heard good things about better call Saul but haven't had a chance to watch it myself yet! Have a great weekend with family!! I heard "Better Call Saul" is great, I have yet to watch it myself too! Congrats on getting those pretzel buttons published!! So Im one of those people who have yet to watch Breaking Bad (but its on our list once we finish Orange is the New Black). We did Walking Dead, Suits & Boondocks prior. Congrats on being published! I used to be a journalist for several companies and its always exciting to see your work in print. Congratulations on your feature! How cool is that?! Just seeing this now because I was sick but congrats on your feature! You go, girl!